My name is Toby Bush! 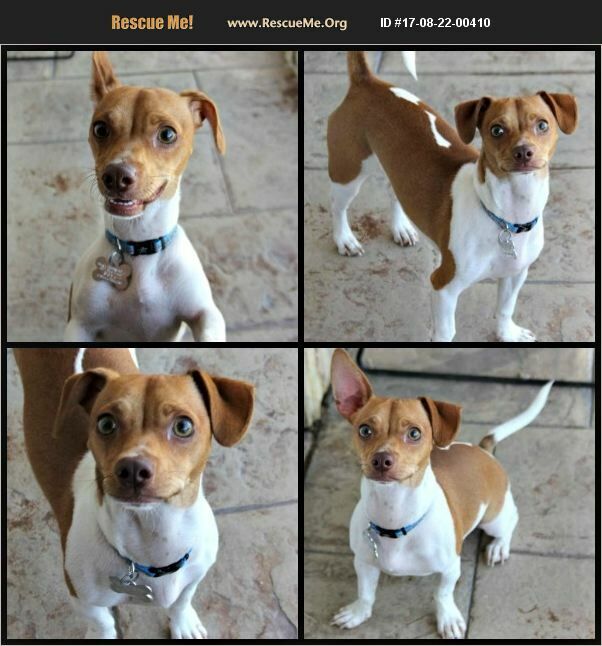 I am a 1 year male Jack Russell Terrier and Chihuahua mix. I was surrendered by my previous owners due to them moving and not being able to take me. I am now looking for my forever home where I can grow up and be part of the family. Some things about me are that I am very shy at first and will need some time to warm up. Once I am confident and comfortable around you is when you will see my personality shine! I can be a bit nippy, so it is VERY important that i go to a family that will have time and patience for me while I learn rights from wrongs. I am also leery around strangers and would highly benefit having proper training to get over my nervous uncertainties. I am very food motivated and yummy treats are the way to my heart. I absolutely love toys and my favorites include Kongs, rawhides and ropes! I also love chasing after the ball and will even bring it back to you! I do well around women but have no history being around men or children; however it is recommended I go to a home with no children or older children (16+). I am good with small dogs and large dogs and am playful with both. I am a smart boy that knows commands 'sit', 'drop it', 'leave it', and 'fetch'. I still need some help being house broken and I am kennel trained. I am leery or strangers and may show signs of aggression while in my kennel if I feel nervous. I ride well in the car and am good on the leash, as I love to go for walks! I do get startled if I am woken up from sleeping and may try to nip. I really am a good boy and I would love nothing more than to be part of the family where I can receive and provide tons of love and kisses!!! I would do great in an active or low active home. Come meet me! My adoption fee is $220. I am neutered, up to date on vaccines, microchipped, licensed, and vet checked. My adoption comes with 30 days of free pet insurance and a free vet visit. To do a meet and greet, come to the rescue location at 1102 W Hatcher Road in Phoenix AZ 85021, open Tues-Sun 11 am to 6 pm. Give us a call on the weekends for location as we have offsite adoption events that some of our dogs attend; 602-944-2440.